Why Choose Summit Ice Melt Systems? We Build a Better Product. The 4 Rules seem to be a little-known secret among roof ice melt system manufacturers. Follow them closely and you maximize efficient heat transfer and have a true energy-saving system. If you don’t know the Rules, or simply choose to ignore them, you will have an inefficient ice melt system. Auxiliary raceway available when special System Layouts require it. 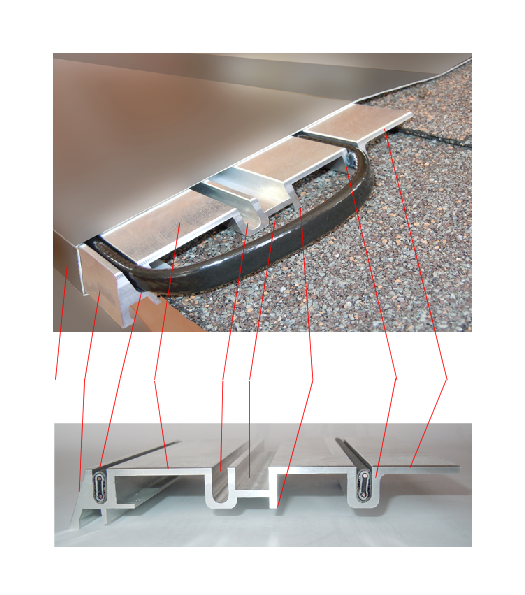 All support legs of Base Panel are engineered to absolutely minimize roof deck surface contact. This eliminates unnecessary heat lost downward through the cold overhang.